Take A Break Vending has invested heavily in technology to ensure that our services are the very best in the greater Bakersfield, California area. Our entire business is run off of latest-generation, smart technology from the point of purchase at our vending machines, to the pre-kitting and scheduling of our routes, remote monitoring of our foods and beverages, and back office operations. Technology not only makes us more efficient at what we do, but it also enables us to achieve savings, which are passed along to our customers. Remote monitoring of our vending equipment. 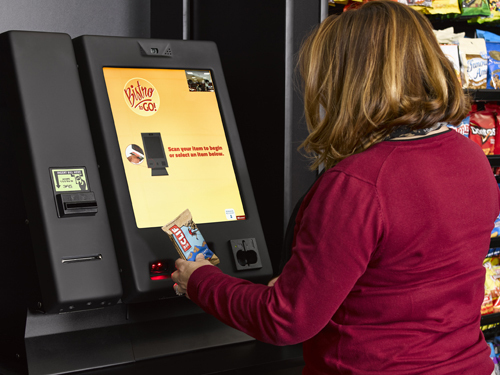 Through remote monitoring, Take A Break Vending route teams know when and where to go, and exactly what to take to re-stock popular vending items. With our remote monitoring system tracking every purchase, your favorite items will always be available. In addition to always keeping fresh foods in stock, remote monitoring enables us to monitor the efficiency and operations of our equipment, so that our maintenance is performed pro-actively. Pre-Kitting and bar coding in our warehouse. By utilizing technology in this way, we are able to automate certain functions within our warehouse, and to load a box with the exact inventory for each machine that a route person will be re-stocking (with the exact levels of each product that needs replenishment). This significant improvement to efficiency means super-fast service for our customers, and savings at the operational level, which also benefit our customers. ENERGY STAR vending machines. These machines feature the lowest cost to operate, and utilize the least energy—which translates into lower power bills for our customers. Cashless vending and multiple payment options which include Apple Pay, Google Wallet, the USConnectMe card, the USConnect App, and cash, debit, and credit cards. USConnect App, which offers a variety of benefits, including Instant Savings on a wide range of products through our ongoing monthly promotions. We'd love to give you a demo of some of these features in action, and show you how your company can benefit. Give us a call or explore your custom solution now!